In the solemn ceremony taking place on 15 February 2018, the Ambassador of Japan to Latvia, Mariko Fujii, presented the professor of RISEBA University and Member of the European Parliament Artis Pabriks with the first national decoration of Japan. The prestigious decoration, namely the Grand Cordon of the Order of the Rising Sun, is the first order in the Japanese honours system. It was presented to A. Pabriks for his contribution towards promoting bilateral relations between Japan and Latvia and strengthening the bonds of friendship throughout his political career. 'This is the highest decoration I have ever received,’ the professor admitted at the solemn ceremony. During the solemn event, the Parliamentary Secretary of the Ministry of Foreign Affairs of the Republic of Latvia Zanda Kalnina-Lukasevica congratulated A. Pabriks. She noted that receiving this decoration represents a great honour for the whole country of Latvia and is a symbol of strong relations. 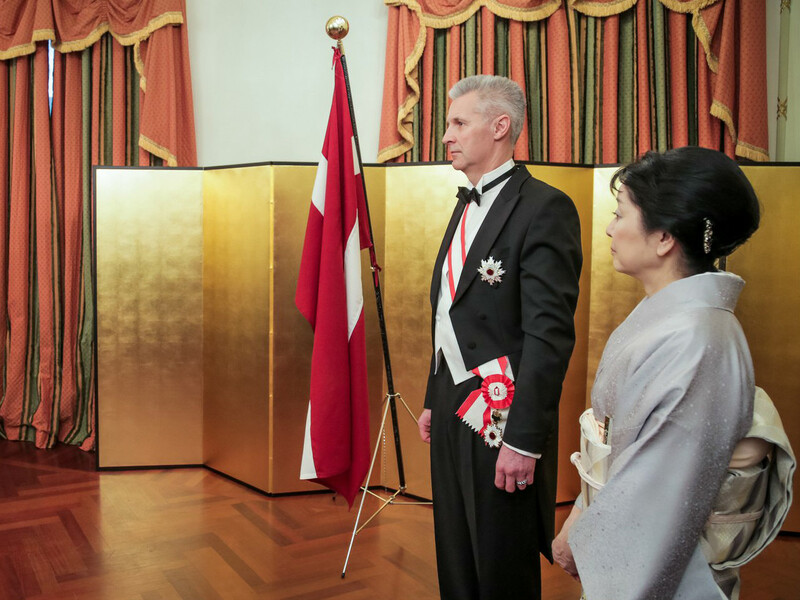 A. Pabriks is the first Latvian official to receive the highest national decoration of the government of Japan.